If I were to inform you that very little of the United States foreign policy from 1962 remains in effect, I suspect you would not be surprised. In the 52 years and 10 presidents that have served since John Kennedy was in office much in the world has changed. The Cold War came to a conclusion with the fall of the Soviet system and the U.S. as a result became the world’s lone superpower. One remnant of the most frigid period of the Cold War is still in-effect though: the U.S. trade embargo with Cuba. Beginning with the U.S. involvement in the Cuban independence movement in the late 1890s, the U.S. had a close relationship with “The Pearl of the Antilles” up to 1960. The explosion of the USS Maine in Havana’s harbor launched the U.S. into war with Spain. The subsequent American rout of the Spanish resulted in the U.S. acquiring some of the last territories of the fading colonial power such as Cuba. The U.S. administered the island for several years before Cuba finally achieved full independence in 1902. The first half-century or so of Cuba’s early nationhood was marked by political unrest and a revolving cast of authoritarian figures. From the general American perspective, however, the island offered a glamorous vacation locale, and business interests were able to secure generous deals with whoever happened to be in power at the time. Fulgencio Batista, a senior military official who had earlier exercised power behind the scenes, finally became the actual president in 1940. He relinquished the office in 1944 after being defeated at the polls, but later seized power through a coup in 1952. A young revolutionary named Fidel Castro, who had gained experience from participating in rebellions against right-wing governments in the Dominican Republic and Colombia, led an attack on a Cuban military base in 1953, in the hope of staging a popular uprising against Batista. The assault failed, and Castro was captured and jailed. Castro and some of his followers went into exile in Mexico City where they planned a new strategy. Returning to the island in 1956, Castro’s forces aligned themselves to a more broad-based anti-Batista movement, which eventually turned the tide, and Batista was forced to flee the country on New Year’s Day, 1959. In the chaos that followed, the Castro forces began to displace more moderate opponents of the previous regime. As he and his closest followers strengthened their hand, rivals were imprisoned or executed. Political and civil liberties were kept in check. The U.S. government became alarmed when the Castro government expropriated American corporate holdings on the island for Cuban use. Most dramatic and far-reaching, however, was when Castro announced in the spring of 1961 that the revolution was socialist in objective. Castro moved quickly to embrace the U.S.S.R. for ideological as well as security reasons since the angry U.S. was a mere 90 miles away and, aside from his confiscation of Yanqui business interests, had already needed to turn back an American-backed plot to squash his revolution. 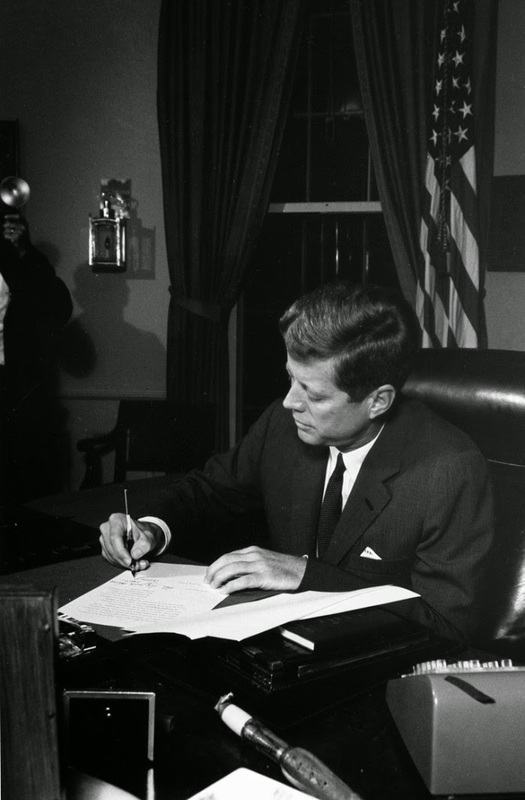 To isolate Cuba, the Kennedy government imposed a trade embargo in 1962, and broke off diplomatic relations. Banning travel to the island was added to the sanctions the following year. 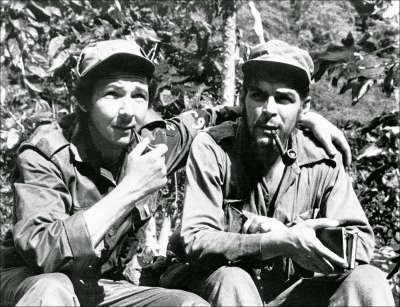 Controversial American actions, such as the overt attempt to overthrow the Castro regime in the Bay of Pigs assault and the embargo, convinced the Soviet Union that it would need to install weapons in its new client state. It also afforded the Cold War opportunity to locate missiles far closer to the U.S. mainland in the event of a war. When American reconnaissance and intelligence activity detected the Russian missiles being installed and shipped to Cuba in October 1962, a tense 2-week period followed in which the two nuclear-equipped rivals came close to the brink of war which might have destroyed all of humanity. Eventually diplomatic efforts paid off, and the U.S.S.R. agreed to remove the missiles in exchange for the U.S. to removing its own missiles in Italy and Turkey. After that dramatic episode there were many other twists and turns in the Cold War, until the Soviet Union finally dissolved in 1991. What hasn’t changed much since Cuba lost its main foreign sponsor nearly quarter of a century ago is its relationship with the United States. According to the Congressional Research Service’s paper Cuba: U.S. Policy and Issues for the 113th Congress , the embargo has not been diluted over the years but actually strengthened. The Cuban Assets Control Regulations have frozen trade and financial transactions along with Cuban government assets in the United States since 1963. In 1992 Congress enacted the Cuban Democracy Act, which prohibits American subsidiaries from trading with the island, or allowing any ship to engage in trade with a U.S. entity if it has also been involved in any stops in Cuba up to 6 months before its arrival in American waters. Further legislation in 1996 called the Cuban Liberty and Democracy Solidarity Act (often referred to as the Helms-Burton Act after its main sponsors, Senators Jesse Helms and Dan Burton) prevents the executive branch from lifting the embargo without Congressional approval. But Helms-Burton does break the ice somewhat. It provides that the U.S. will give support to the island if and when the nation begins achieving benchmarks toward a democratic form of government. In the years since, there have been other “second track” measures, like private humanitarian donations, medical supplies, and agricultural exports. More recently as Congressional Digest pointed out in its September 2013 issue , restrictions on family travel, monetary assistance to relatives, and flights from Cuban-chartered planes have been eased. 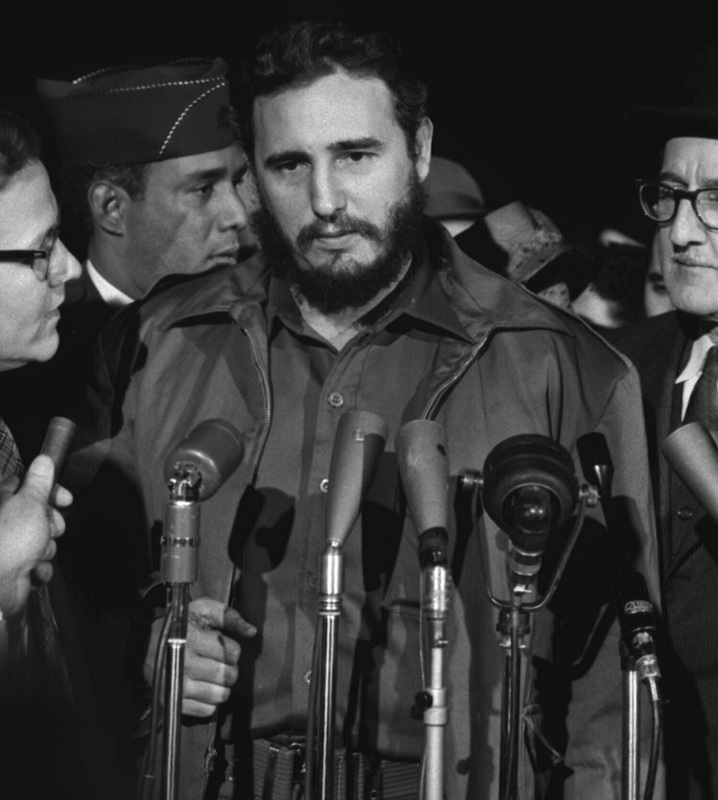 One reason U.S. policy hasn’t changed much could simply be the staying power of Fidel Castro. He continued to hold power and lash out at the American government until ill health finally made him officially stand down in 2008. The reins of power did not move very far though. His younger brother Raul assumed the presidency and is 83 years of age at this writing. Internal affairs of the Communist Party seem to suggest that few young, reform-minded politicians are being groomed for larger and more meaningful roles in the state. Even if veterans of the Cuban revolution and their ideological inheritors cast a long shadow and grip on the island’s political scene, the state apparatus has quietly been liberalizing the economy. China began to move toward a market economy in the 1980s, but did not welcome the political liberty that could go hand-in-hand with greater economic gains by its citizens. The 1989 massacre in Tiananmen Square of student activists and their allies advocating for democracy seemed to result in the Beijing regime stepping up economic reforms as a consolation prize for its citizens, rather than offering political reform. Cuba’s masters have assuredly analyzed the Chinese experience. But Cuba faces unique challenges that its Communist cousins in Asia lack, principally that it is snubbed by the world’s largest economic engine, while China is not. The break-up of the Soviet Union struck an economic as well as a political blow to the regime. 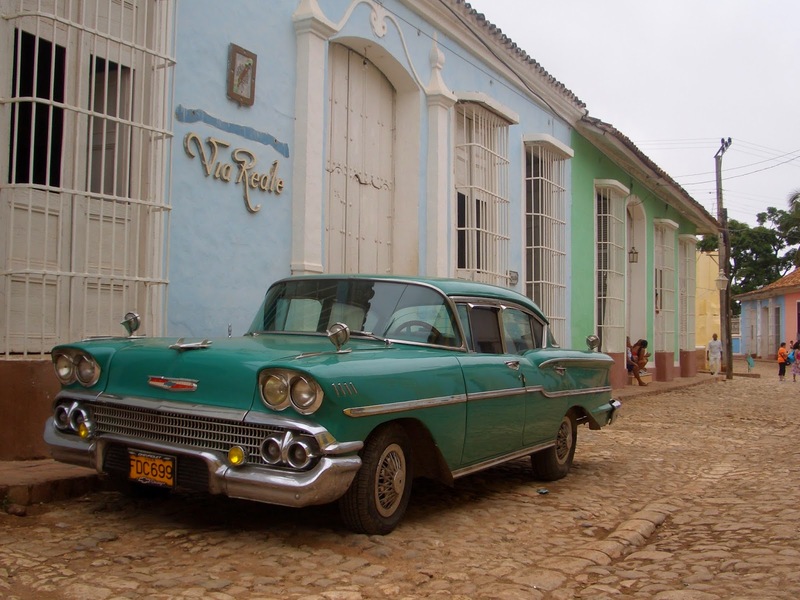 Congressional Digest estimates that Cuba’s economy declined by as much as 35-50% in the late 1980s and early 1990s. Since that time, the island has developed a tourist industry, stepped up mining of nickel to offset the decline of the sugar industry, and has made halting efforts to introduce oil to its export basket. Hugo Chavez of Venezuela brought his country into a close relationship with Cuba in the early part of this century, as the populist socialist seemed to acquire Castro’s old ability to infuriate the U.S., which endeared him to many Cubans. Venezuela benefited the Cubans with discounted oil, and the island provided its medical expertise to the South Americans. With relatives in the States able to send remittances to their families back home, and various foreign investments and initiatives taking place in the country, Cuba averaged 3.7% growth per year in the mid-to-late 1990s, and mid 2000s saw dynamic gains of double digit economic expansion. Where does this leave the embargo? Opponents of the Cuban regime have long argued that isolation was critical to destabilizing the Castro government in the hope that, as conditions inevitably worsened for the average Cuban citizen, there would be an uprising to send the revolutionaries packing. Liberalizing the embargo, it is argued, only rewards the communist dictatorship. The Cuban-American voting bloc in Florida, where many opponents of the Castro revolution fled in the 1960s, longs for the actuarial tables to catch up with the Castro brothers and their cronies in the belief that their hold on the island would crumble absent their charismatic presence. For this group the embargo is an enduring reminder that the revolutionary government does not tolerate political dissent or a free press. There is a basic problem with this approach to international relations, however: We don’t apply it to other countries with a similar track record on human rights. North Korea, certainly a pariah state, is the only other country in the world beside Cuba that the U.S. denies permanent normal trade relations with. We do have conditional trade status with several former Soviet republics, and there are various levels of sanctions against other countries such as Iran, Myanmar, Sudan, and Syria due to serious violations of U.S. policy goals or breaches of international law. But according to the organization Freedom House, which tracks political and civil liberties around the world, the U.S. does trade freely with nations labeled as “not free” such as China, Russia, and Saudi Arabia. By the same reasoning that is applied to Cuba, the U.S. should place sanctions on these countries until democracy flourishes there as well. The government under the younger Castro has made some tentative but meaningful reforms toward a more market-based system. The cynical view of the reforms is that, like China and some other authoritarian countries, it appears that Cuba’s elite wants to open up the economy enough that its citizens will be satisfied enough to not engage in political dissent but not so much as to harm the regime’s status quo. The more sanguine view is that those who have seen the economic inequality that can occur in an unregulated market economy are concerned that throwing open the gates will damage the social gains (like health care and education) that have occurred in a stage-managed economy. Cuba’s official media tends to use terminology like “modernize” rather than “reform” or “correct,” so as not to give the impression that earlier directives might have been, dare it be said, wrong. But, whatever the semantics, the government is trimming its payroll and encouraging private sector growth and co-operatives. In some ways, the regime is simply legalizing the black market in goods that has always existed in some guise, but it is doing more than that. Farmers can now purchase unused government land. Citizens can personally buy and sell their own homes and automobiles. Computers and mobile phones are available (although the government engages in censorship). According to Reuters, the government’s official labor federation announced in February that, instead of reliance on state output, it would encourage “markets, private businesses, cooperatives and leasing systems, while concentrating resources on major state-run companies in hopes of making them more competitive.”  The report went on to say that as much as 10% of the state’s workforce (approximately 600,000 workers) had been trimmed in the last 5 years. While the private sector sputters with confusion over just what the laws allow and do not allow, and with inexperience using a system which hasn’t been utilized in decades, there is hope. Farmers comprise the largest group of “non-state” workers, and the government pins some aspirations on local food production being more efficient so that the island is less dependent on agricultural imports. As private enterprise increases it is anticipated that the absenteeism, work-shirking, and theft characteristic of many state industries will be curtailed. Many other kinds of private businesses on the island are very small and service-oriented businesses, and don’t take much capital to get started, such as small cafes, tapas bars, taxi cabs, and seamstress services. Operations that were formerly government owned are being offered to private individuals or the current state employees to be run as co-operatives. The co-operatives in particular are being touted by the government because they can allow people already employed to continue on by leasing the establishment and equipment, while spreading ownership to as many co-workers as possible who buy into the venture. These workers, just like co-op members in other parts of the world, determine where to allocate funds, and realize a share of the revenues. Analyzing the rise of co-ops in Cuba, Richard E. Feinberg of the University of California-San Diego says that “(t)he potential is large…(the regime is) looking for something in between the old state-owned enterprise and a pure free market. Cooperatives are an answer, so looking forward; they could play a significant role.”  Because of the more “social” aspect that co-ops have, as opposed to classic American-style free enterprise, the opportunity for co-ops to get preferential treatment on idle government properties, or discounted materials and tax considerations, makes this “the moment” for truly more democratic workplaces in Cuba. But the emergence of cooperatives could be interfered with by both the economic Left and Right. In a nation where a small ruling elite can issue directives without real consent and approval of the citizens means that a change in policy by the Communist Party can quash the co-op movement at its roots. Similarly, if Cuba moves toward a more directly market economy, either through a downfall of the revolutionary state, or by government acceptance of investments by outside business interests that want a greater hand in controlling the labor market as part of the price of bringing their capital to the country. Will the rise of co-operatives become part of the fabric of Cuba’s emergence from a glum Soviet style command economy, or a brief interlude before a return to the bad old pre-revolution days where concentrated economic interests (mostly foreign) controlled the economy through local cronies and bribes to corrupt petty officials? Only time, and the determination of the proud Cuban people, will tell.